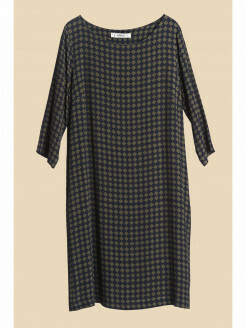 Print crepe dress with three-quarter sleeves and side hidden pockets. Its rigorous lines shape your silhouette, while the refined, two-color geometric motif hypnotizes. A thin patent belt highlights the waist.